I thought I might add a review for your page if you would like to post it. I started writing it and there was more than a straight review I felt like saying. What came out was some of my thoughts and ideas on the band and things that have happened. I live in South Africa and believe me Sabbath is not the in thing over here and apart from you site (when is the guest book returning ?) I feel very cut off with what goes on. Anyway here it is for what it is worth. My third Sabbath concert was at Sheffield City Hall UK on the Headless Cross tour, this followed Reading ’83 which I thought was great. I allways have liked Ian Gillan and thought highly of Born Again and the subsequent tour. My second was Birmingham Odeon UK on the Seventh Star tour. 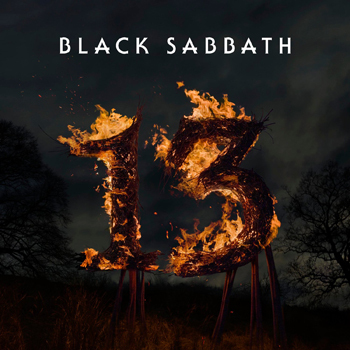 As a record on it’s own SS was very very good, but not what Sabbath was about to me. Glenn sang really well and I was sorry he did not see the tour out. I was really not impressed with the performance Ray Gillen just was not up to the job IMHO. Through the whole Ethernal Idol period I kept in touch from afar (literally) and kind of lost a bit of interest. 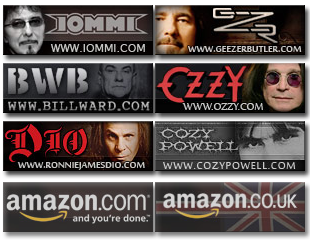 Then Cozy joined the band and Headless Cross was released. This was the best thing I had heard since Born Again. I thought then, and still do, that the songs are up there with the best that Sabbath has written and in hindsight it is Tony Martin’s defining moment with the group. I was really happy that Tony, Tony and Cozy had got it together. Iommi has allways been one of the greats no need for details and suplervatives, I am preaching to the converted. Cozy is a great drummer, but I was more impressed with his commitments to the cause and his determination to put Sabbath back on the top. Tony Martin did a very good job on EI and I was pleased to hear he was staying on. His performance on HC is sensational and he also had the right attitude. So with new found enthusiasm I went to see a show. It was a great show and everybody played really well. Even Neil Murray whom I was unsure about did well. There was and still is something about Tony,Tony and Cozy that was very special together; they had what it takes. I remember feeling sure that after the couple of albums and tours Sabbath would be right back there again. I will admit that that nothing will compare to the original lineup and also the first Dio era, but that is history this was now and it was good and relevant and a valid addition to the legend. Something the SS era was not. In hindsight I became a bit more critical of the show. I think that they were a bit conservative in the choice of material. It was a bit predictable. They did address this a few years later but more of that then. I think that Kill in the Spirit World, Call of the Wild, Black Moon and Nightwing should all have been played and the crowd intrduced more to the NEW Sabbath. I can understand the inclusion of all the above classics, it was in many ways a ‘come-back’ tour but I think more of HC could have been played. It was vital the band be known for their new as well as the old. Then came TYR, I loved this record and was a continuation of the direction shown on side 2 of HC. This proved beyond all doubt that there was life in the old dog still. With one album and tour behind them they had begun to gel. This was the direction for Sabbath in the 90’s. Songwriting was very strong here and the band was stable, and as far as I know freindly. It was a succsesful release for the band and the good times were back. Was this the most succesful Sabs album in the 90’s?. The tour I missed, but I heard was full of the fire I had witnessed the year before and played to more people. But with note to my previous critisism I had a problem with the set list. Effectivley they dropped Mob Rules, D&D and added Lawmaker and at irregular intervals (judging by my tapes) Sabbath Stones and Anno Mundi. I was dissapointed, they really should have gone out on a bit more of a limb. Does this say that they are not confident in the new material and are relying on the past. If they were it was not needed and I think a mistake. Look for example at the re-united Deep Purple for ten years we get the Made in Japan set with a couple of new songs of each new release. It got boring after I while ( can I just say I am a huge DP fan) then look a post Blackmore Purple. They really pleased the crowds by playing variations and I think it showed in the performace, they must be able to play Black Night in their sleep. Anyway disaster struck and Sabbath split. After all the hard work and deserved sucess. Why did this happen. Well I heard it was America where the new Sabs had not been as well received as in Europe. And to remedy the situation? the return of Butler, Dio and Appice. I was not impressed. Geezer should have joined with Cozy for HC if he was going to come back. Ronnie should not have bothered and Cozy should stay away from horses. In the end, dare I say predictably, it did not work out. So we got Dehumanizer, and it was great – better than the Mob Rules, and had it been released in 83 would probably be regarded as a classic today. The timing was all wrong. The songs were great and a departure from the last two. The new direction had been abandoned and the Heaven and Hell feel was re-created. It floundered a bit and did not generate the sales that was expected of it. The tour I saw in the UK again. What can I say It was great to see this band play and they really cooked on stage. But we got the same set of ‘classics’ with five or six new songs. Nothing from Martin era!. I like Dehumanizer but rarely play it. After the tour it all fell apart, we all know why, and Tony Martin was asked to rejoin Iommi, Butler and Bobby Rondinelli. It was, I think, too late, the damage had been done, all the credability that HC and TYR had built up was gone. The band recorded Cross Purposes which I have subsequently come to like. At the time it was good but not great. It was more in the classic Sabs metal mode than as adventorous as TYR clearly and sadly that direction was gone. The song writing was again strong and I think that if Tony,Tony and Geezer had stayed together it could have become something very special. The tour must have been amazing. They finally did it and constucted the best set list ever in my opinion. I did not see them nor can I get the CPLive video on PAL format – help appreciated. I have heard Tony’s voice had gone a bit but I would have killed to see this show. Also the Brazil show with Iommi,Ward,Butler and Martin must have been worth seeing, again any info is welcome. Anyway I knd of lost touch with things after this. I know that Geezer and thankfully Rondinelli left and that Cozy and Neil returned. I have read some of Geezers comments that must have hurt Sabbath but I still don’t know why he left. I can well believe that for the average fan all this was to much and that no one really gave a damn about the re-union. I did, what ever kind of future the band had I have allways felt was with this line up. I remember feeling sorry for Cozy and Martin when they were axed after all they had been very supportive of BS, Cozys comments on this are very interesting. He was back but the fire and desire and possibly the committment was not – can’t really blame him. Sabbath is Iommi’s band, he makes the descisions and I wonder if he regrets breaking things up after TYR – I do. Well they recorded Forbidden which everybody hated. It suprised me, I was expecting either a continuation of the TYR direction or something more in the Dehumaizer/CP vein. I was wrong but I like it it seems as if they have turned the corner again. I really don’t know if this type of music is commercailly viable today, it has a back to basics feel and a more modern approach. It was a consistent album that lacked real standouts like the HC/TYR had. Apart from Rusty Angles and Kiss of Death. Today I rank in one of my top 5. Just out of interest……. The tour I did not see but I heard was not a great sucess. The band apparently played very well with great enthusiasm but the set list was a step backwards. There has been many comments made in the newsgroup etc about the lack of quality of the new material. I have a suspcion that this can be translated into the relative lack of success and exposure rather than a reflection on the songs themselves. I can’t help but wonder if they had not been pushed more live then the songs would have had a chance to grow and build there own reputations and perhaps sold more? I have mentioned the songs on HC but perhaps some of these should have been worked into the live set. I know some of them were on a infrequent basis. Bearing in mind that Sabbath only plays for 90 minutes and these songs are nearly all quite long you can have +/- 1 hours worth of material. There are so many great songs that have been to often overlooked. Anyway it is only my opinion I don’ t insist on it and doubtless others will disagree. Maybe Iommi should have realised he had a good thing going and stuck with it. Sabbath will always be my favorite band and they have never dissapointed me. I have been a long time fan of Sabbath and would hate this to be the bands epitaph. Speculation is useless and you can only wait and see. The one thing I know for sure is that anything that Iommi does will have quality to it, regardless of public opinion, and it will get my support.